Browse Our LeatherSearch our database which includes more than 1000 (and growing!) colors, textures and styles of our in-stock and standard leathers. Search & Sort SamplesLooking for a special color or texture? You can sort by color, texture, pattern or finish to find just what you’re looking for. View Featured LeatherCheck out our showcase of newly developed collections of leather, new design styles and licensed lines. Search our database of approximately 1000 (and growing!) 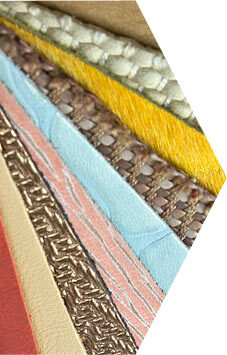 colors, textures, and qualities from our catalog of in-stock and standard leathers. We will fill your on-line order with 4″×4″ samples of the items you selected and send them to you for delivery within one week’s time. Should you have special requirements for sample size or delivery schedule, please send us a note with the details or call us directly to place your sample order. And if you don’t see exactly what you need here, we may have it in our archives or we can very likely make it, just for you! Contact us to discuss custom sample options. Samples are intended for potential customers. Townsend Leather sells to the trade only. If you are not a current customer you will be requested to complete a New Customer Form and include your Tax ID#. End-users should contact a professional designer or our sales representative in your area for samples and sales information.